ROXBOROUGH GATES RESTORATION | Mathieu & Mitchell Ltd. 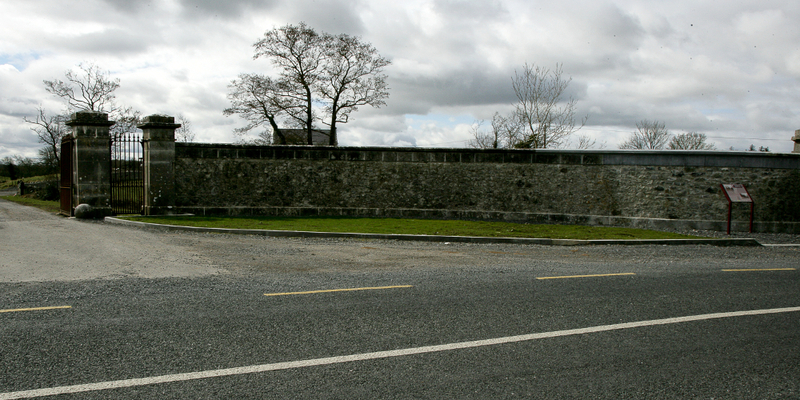 The project’s main conservational works – masonry stonework (including lime mortars) and ironwork - were carried out for the restoration of sections of the boundary wall and the repair of Roxborough Gates, the main entrance to Roxborough House grounds which was the birthplace of Isabella Augusta Persse later to be known as Lady Gregory. Initial works required the removal and poisoning of vegetation. A search was then carried out for any missing stones. 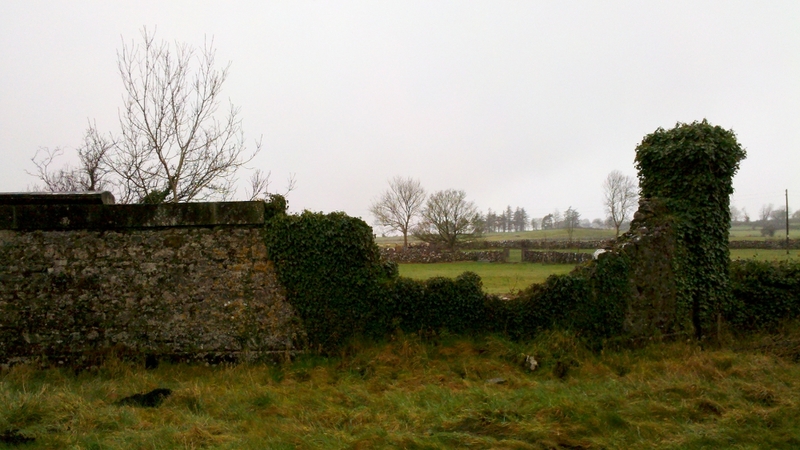 The unstable frieze stones were carefully taken down, numbered and set aside for re-use. 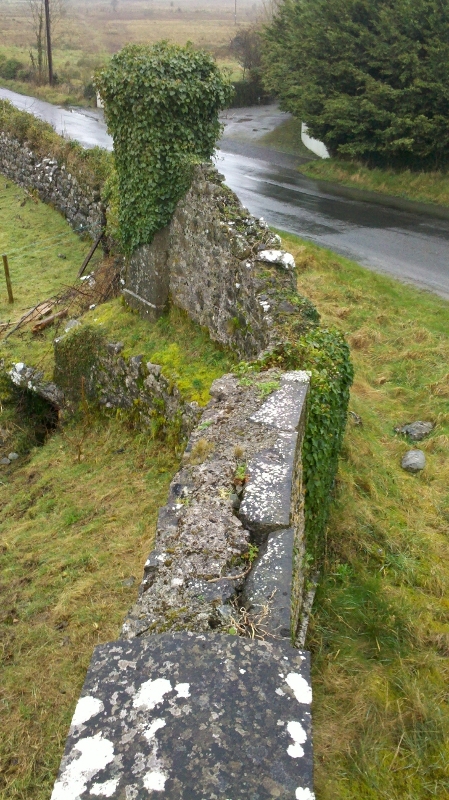 The collapsed sections of the existing wall were rebuilt using local stone and lime mortar. 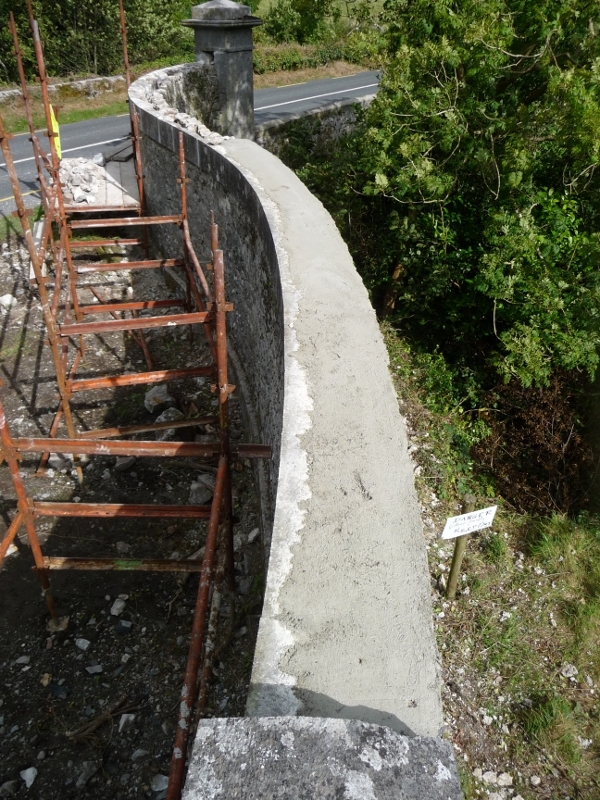 Templates were made and the missing cap stone and frieze stones were cut on site by our two masons Laurik Mathieu and Lorcan Dunne. The gates which were originally made by Richard Turner (1798-1881) were repaired and reset by sub contractor Stephen Quinn, Conservation Blacksmith. Slam bars were removed and repaired off site and the large capstone was removed and reset in order to adjust the hanging iron. 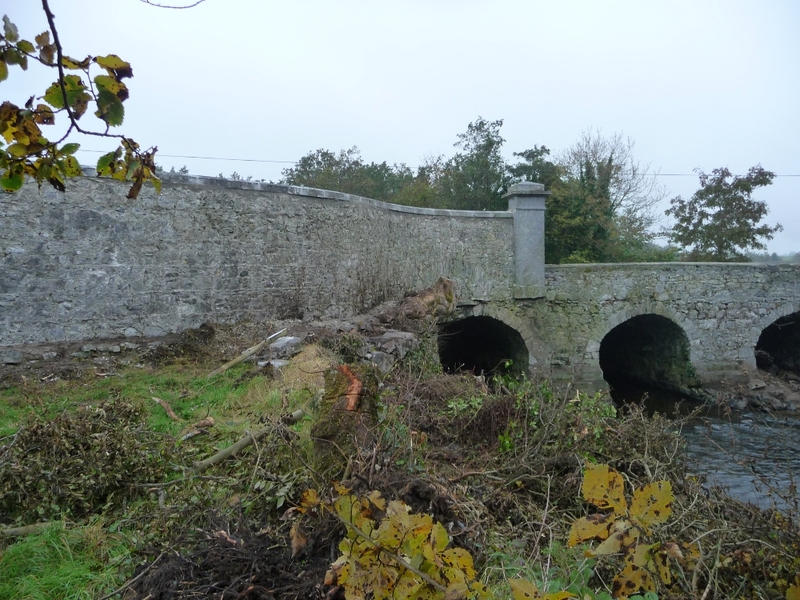 The project was grant aided by Galway Rural Development Company Ltd (GRD) and also involved local volunteers and financial donations from the landowner. 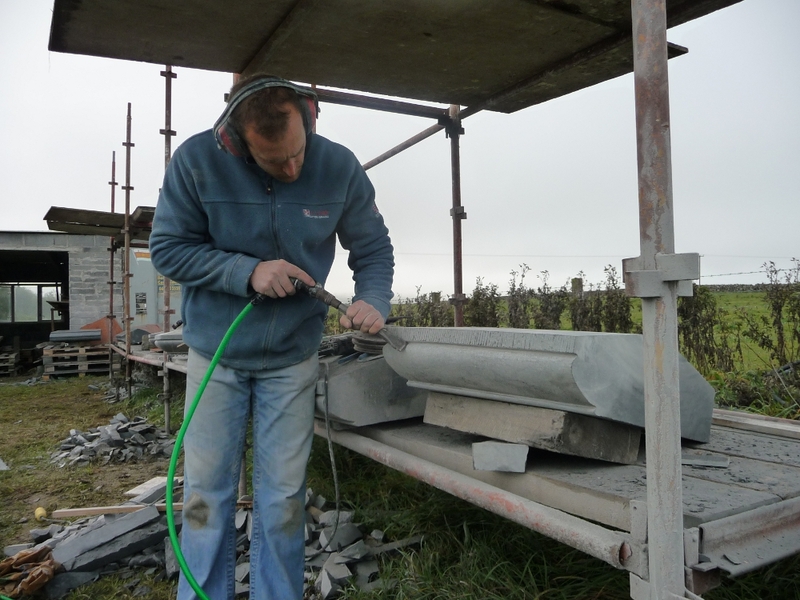 Sections of the stone work on this project had to be re-pointed using St. Astier NHL 3.5. Pointing is sacrificial and as it decays it needs to be replaced from time to time. 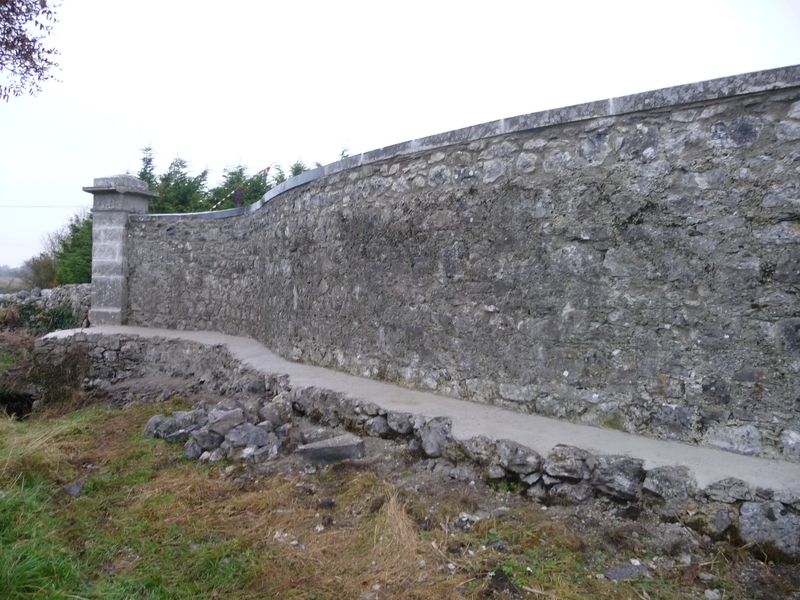 A close inspection of the wall was carried out it was agreed that only certain areas needed to be done. A common mistake on many projects is a “ blanket” approach which results in the removal of good pointing that would have lasted another fifteen or twenty years. Re-pointing is only necessary when the mortar has become so loose, powdery, decayed or eroded that water can penetrate. 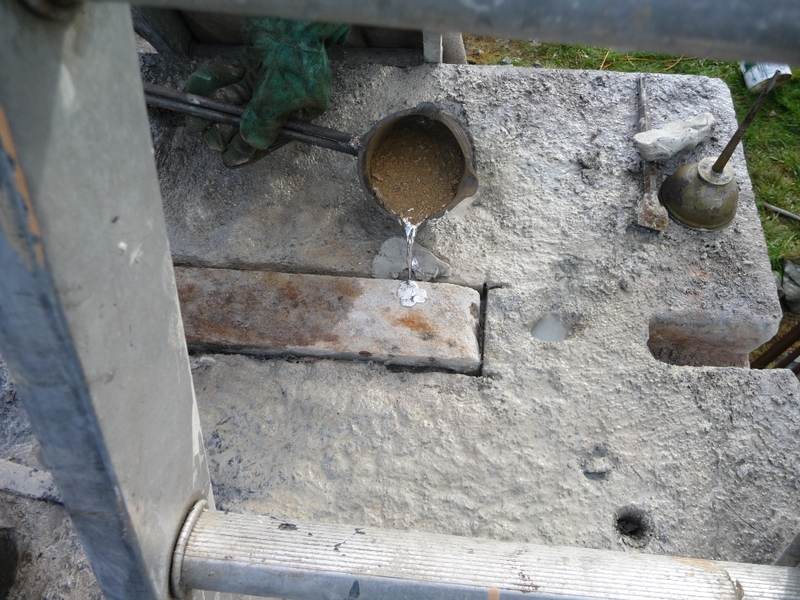 Using hand tools all the decayed and loose mortar was removed until we reached sound bedding material. In a couple of areas the bedding and core material had been washed out and these had to be re-grouted to restore strength and stability. The fine joints on the piers were cleaned out using a hack saw blade. All joints were re-checked to make sure that all the mortar was thoroughly removed in order to provide a good key for the new pointing. The wall was brushed and an air hose was used to gently blow out any remaining dust. Before pointing commenced the wall was sprayed a couple of times to prevent the water being sucked out of the fresh lime mortar. The mortar was mixed in small batches at a ratio of 3 sharp sand to 1 St. Astier NHL 3.5. In a couple of areas deep joints had to be pointed in two stages. The pointing was sprayed a couple of times to ensure that it would not dry out too fast. A stiff brush was used to consolidate the pointing and give a tamped rather than a brushed finish. 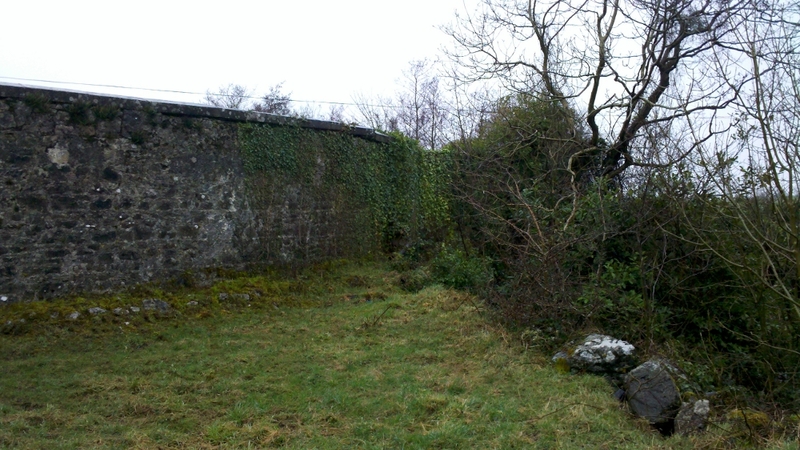 Ivy, water and frost were starting to cause serious structural damage to the entrance to Roxborough House which is one of the main stops on the Yeats Gregory Trail. 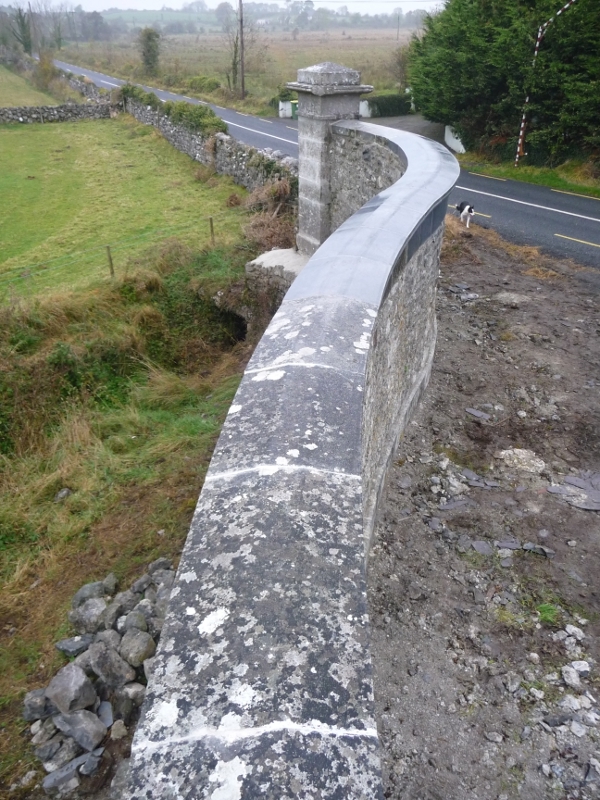 Financial support from Galway Rural Development, a huge amount of voluntary work, from the applying for the grant, removal of ivy, searching for stones, landscaping and donations both financial and material meant that the project came in on time and within budget. Thanks to all involved. Carry out an annual inspection for the re-emergence of ivy and shrubs where they have been cut off and poisoned at the base of walls. Keep an eye on any original plaster and pointing that has been left in place, this may have to be replaced at some stage in order protect the stone work.